Today is anti-bullying day. Often we think of kids bullying each other in school and in social media when we consider the impact of bullying. 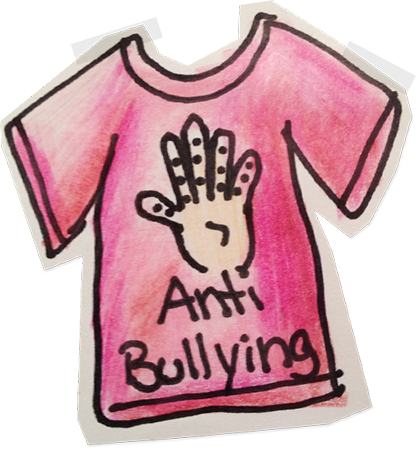 On this day, kids wear pink shirts to school to support the end of bullying. It is a wonderful method for building awareness, compassion, and respect amongst children. However, bullying happens everywhere. At work. At home. In social settings. Everywhere. The work bully may antagonize, yell, scream, criticize, and insult others - and I've worked with people like this. There is another kind of work bully that I've also had experience with, though; and they are much worse. A bully that is more detrimental to an organization seems cooperative and works hard. People may admire them because they succeed in their work. They are good influencers and negotiators. Most times, they come across as good leaders because people listen to them. Introduce a situation that they do not like, though, and their bullying nature emerges. Because this kind of bully is liked and admired, it is difficult to identify that they are bullying. It may seem they are simply being assertive, maybe a bit aggressive, but not quite bullying - at first. Those that are bullied by this person may feel they are to blame for any conflict. It may be difficult to even understand what is happening because the bully seems like a nice person, others like him, but the person bullied knows something is awry. The person bullied may begin to shrink from working with the bully, may leave his/her job, or may refuse to be bullied and stand up to the bully. When that happens, the bully comes out in full force. He/she may lie and try to sabotage others' work, undermine authority, and do whatever he/she believes needs to be done to maintain his/her reputation - and that might mean tainting the reputation of others if necessary. This kind of bully gets to a point where they CAN do these things without repercussions because of poor leadership. This kind of bully often IS in a leadership role. How does that happen? In the case I witnessed, the bully was placed in a leadership position because she got results. She was technically good at her job. She brought in money. Her projects were successful. She was rewarded with compensation and responsibility... until she was in a leadership position. The problem was that no one called her on 'how' she got results. Because she got results, nobody cared what happened in order for her to get them. The fact that complaints were made about her and others refused to work with her flew under the radar. Because she could be aggressive and had the inclination to destroy someone's career with her lies and innocent nature, most people did not speak out against her. Those that did, did not 'win' because her 'leader' saw results and wanted those results to stay. In the end, this kind of bully gets rewarded for being a bully. And this is detrimental to an organization. This bully may bring in results; however, those she works with either leave or lay low and do not perform at their maximum potential. Productivity suffers. Attitude suffers. Culture suffers. Customer service suffers. Sales suffer. Retention suffers. A mindful leader will not tolerate bullying in order to get results. A mindful leader would address the bullying head on and either help the person bullying deal with what is going on in his/her life (because that is what bullying is really about) or help them leave the company with dignity. Bullying can be stopped in the workplace with compassion and courage. Mindful leaders will face the fear of being attacked by the bully and do it with compassion and respect for the bully - because he/she is human. And THAT is how bullying needs to be addressed for a win-win outcome.